Souvenior Shop This is a Balines shop in Ubud which has selected items by the owner. 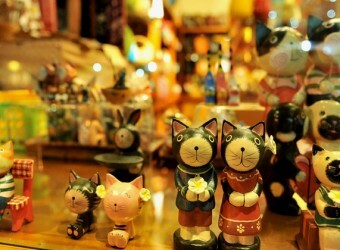 There are many Balinese items such as popular Ata goods, begs and bags. The qualities of the souvenirs are good, so it is recommended for anyone who is looking for a Balinese souvenir with a good quality. English staffs are available, so they can help you to find a perfect one for you!